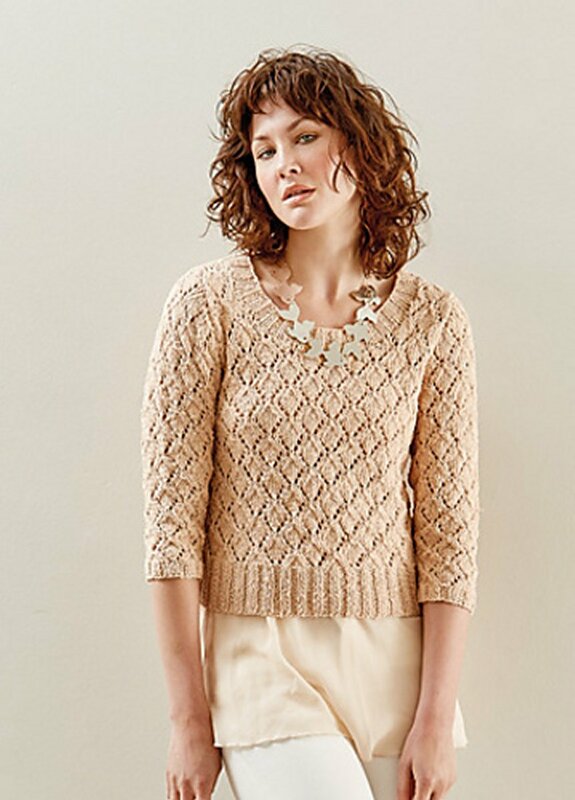 This design is a free pattern from the Ravelry website - "Knit this modern, feminine sweater in our new Breezed yarn, a beautiful 80% cotton and 20% linen blend. Designed by Sarah Hatton, it has a flattering scoop neck and simple all-over lace patterning. The lace means the design would be suitable for the knitter with a little experience." This design is a free pattern from the Ravelry website. Remember to download the pattern by following the link provided on this page, as it will not be shipped with the yarn. Size US 6 and US 7 needles (or sizes needed to obtain gauge) are required but not included. Gauge: 18 stitches and 28 rows = 4 inches in Lace pattern. Color shown is 003 Apricot. Bamboo Single Pointed Needles - US 6 (4.0mm) - 13"
Bamboo Single Pointed Needles - US 7 (4.5mm) - 13"
Rowan Breezed Yarn From $5.37 to $8.95Select colors on sale now!